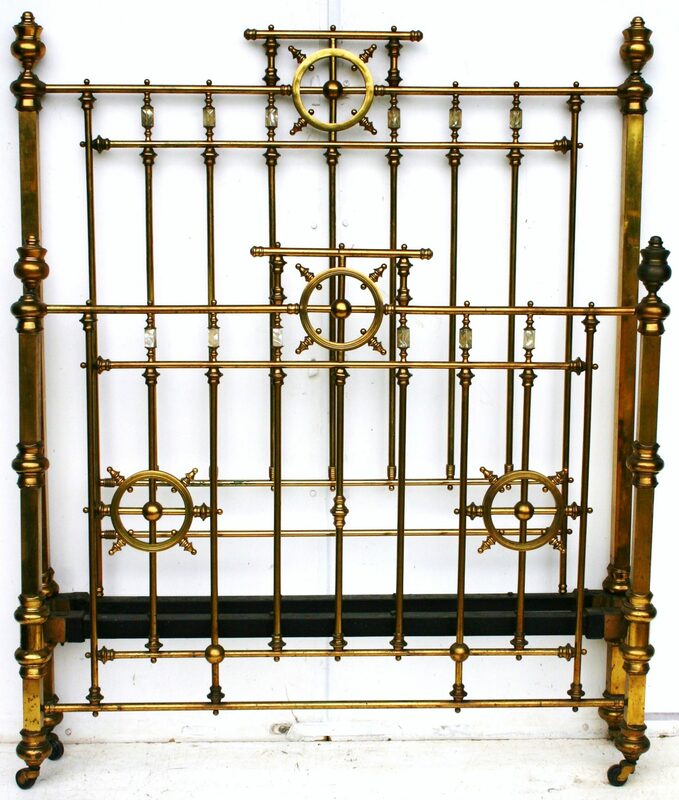 Mid Period Victorian All Brass Bedstead – wonderful time warp condition and lacquered brass colour. Featuring four large ‘ships wheels’ and original mother of pearl mounts. Currently un-restored, price subject to renovation required by customer.